When a public relations firm signs a new account, or an internal PR team is granted budget approval, excitement is in the air. Take a little time to celebrate, then let the real work begin. And that work starts with a well-written plan. 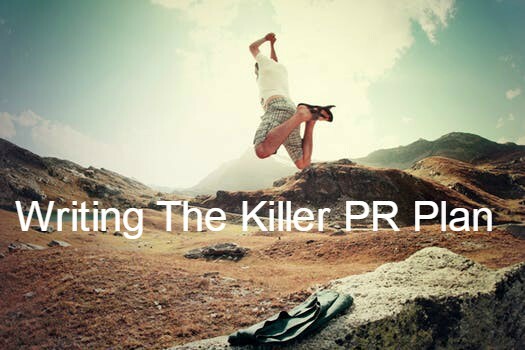 To craft a killer PR plan, here are some steps to consider before you begin. A good plan starts with a review of past history, including brand perception, activity over the previous year, and recent earned media successes or lack of the same. A thorough brand or organization audit will make setting milestones toward goals clearer and easier. Build in and budget for metrics. This is a given, but PR goals and the ways in which progress is measured will vary with the individual organization. Beware of sweeping objectives like “positive visibility” or “brand awareness” unless there are tools with which to measure that visibility with some precision. Another essential ingredient is a series of key performance indicators (KPIs) and deliverables that support those broader goals. These might include specific stories in top-tier publications; speaking opportunities earned at key conferences; social media shares, and other indicators of progress against goals. Take a step back and look at your plan by manageable chunks of time, typically quarters. While it’s unlikely that an organization’s strategy, positioning, target audiences, and key messages will change, most tactics benefit from quarterly review and refreshers. Unexpected developments, including internal changes, a wrinkle in the business climate, or a move by a competitor can demand a new tactic or two. You can gain buy-in from decision-makers and ensure quick course corrections for any mistakes by building checkpoints and milestones into the plan. Those might be when a specific deliverable is achieved, or it can be tied to the impact of a campaign or tactic, like the midpoint for total number of shares for a social media promotion. The beauty of public relations, in comparison to traditional advertising and even some forms of direct marketing, is that it is built for flexibility. As we’ve addressed in previous posts, we operate in a dynamic media environment where the news cycle seems to get faster all the time. Instant digital and social posts reflect warp speed changes in news, influencers and “what’s hot, what’s not.” PR teams and their clients need to be able to substitute one story idea for another within a media or content calendar. Changes might include “newsjacking” to take advantage of topical events relevant to your brand, or homing in on an emerging market segment or trend. Building in flexibility makes good PR and business sense. Eliminate risk where you can. The entrepreneurial culture of many technology-driven industries and the growth of “lean” startups has given rise to “discovery-driven planning” for business situations that represent uncharted territory. This type of planning deals with uncertainty by building in key milestones or checkpoints before additional funds for a new venture are released, as outlined in the Harvard Business Review overview of five key disciplines and tools. Similarly, there are some safeguards for ambitious PR plans that strive to break out of the traditional mold. We believe strongly in low-cost piloting of certain ventures before committing large chunks of budget, for example. Focus on simple ideas, packaged well. One key tactic doesn’t a plan make. But if a tactic can’t be explained and executed simply, then consider changing it. We had a strong program idea for a mattress company that wanted to be linked with healthy sleep. It was tied to to earn attention with a “protest” against the spring Daylight Saving Time change and the fatigue it often causes during the days that follow turning the clock ahead. The original concept was elaborate and involved an online petition, local-market events, Census data research, and street leafleting to create attention. In the end, we pared the tactics to a Facebook call-to-action and a strategically located photo opportunity outside a flagship store that featured – what else? – a stack of mattresses and a blissfully sleeping person. It was more streamlined and replicable across different cities, and it carried that quarter’s outreach very nicely. Ask yourself if your PR plan meshes with other marketing and communications plans including advertising and direct marketing. Although the disciplines are designed to accomplish distinct goals, they should not fight one another or be diffused during key periods like a new product launch or fresh thought leadership direction. If paid media messages are based on a breakthrough new product technology, for example, executive leadership and bylined content topics might reflect themes of fostering innovation through business culture.